I love heart shaped anything, I always have. 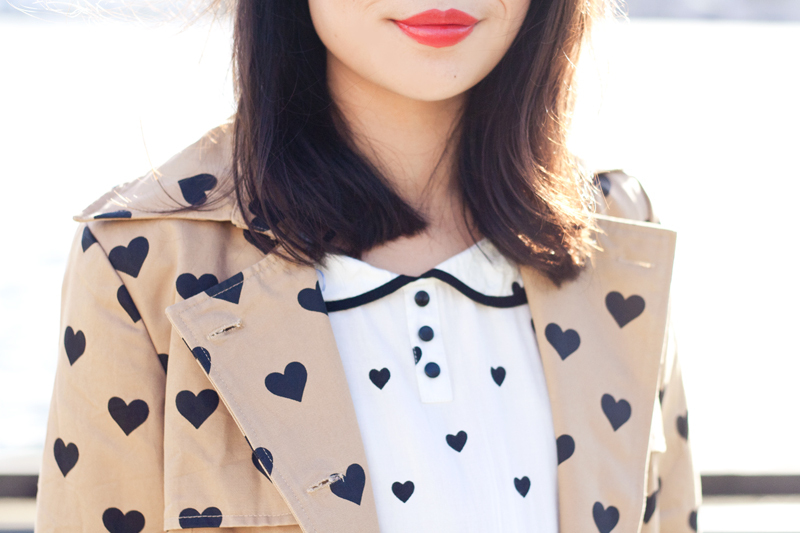 I have also worn countless heart prints but I believe this is the first time I pulled a hearts-on-hearts look. But hey it's almost Valentine's Day so why not! This trench coat... do I even need to say anything about it? Just look at it! It is the best trench coat ever existed! I paired it with a heart print blouse with peter pan collar, black distressed denim, and a cute velvet heart shaped purse. Although I tried to keep the look neutral with black, white and khaki, I couldn't help to add a touch of red (my flats) for the occasion! 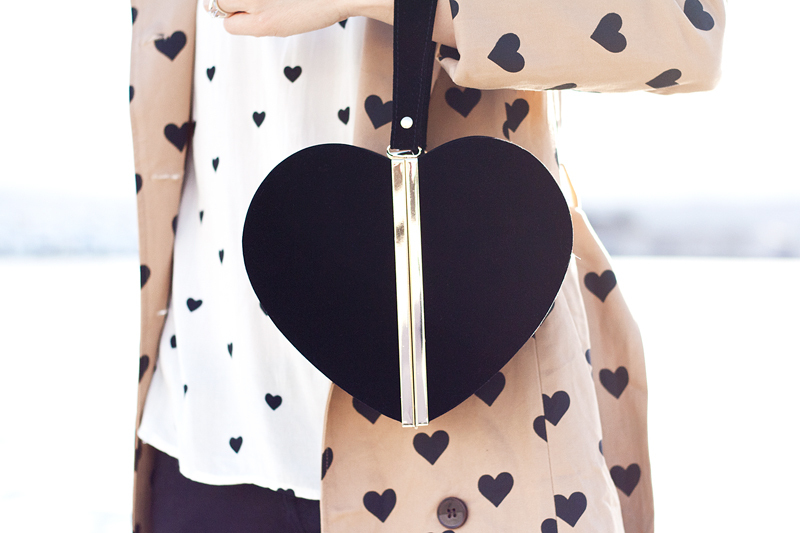 Heart print trench coat from Sheinside. Heart print peter pan collar blouse c/o F21. Distressed skinny jeans from Old Navy. Red patent bow flats by Ann Marino from 6pm. Velvet heart shaped purse c/o Nila Anthony. © it's not her, it's me. - Los Angeles Fashion Lifestyle Travel Blog. Design by Fearne.